Description: , N.D.. Ephemera. 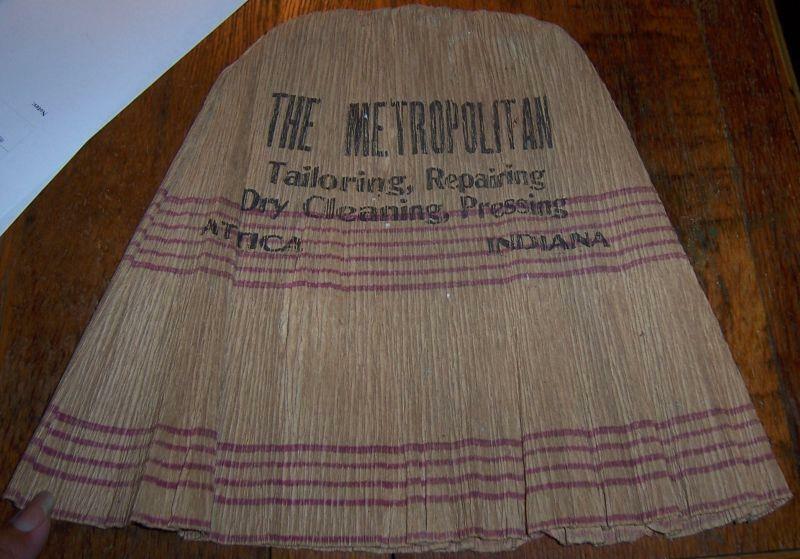 Very Good; Vintage Paper Hat with Advertising for Metropolitan Tailoring, Repairing, Dry Cleaning, Pressing, Attica, Indiana. Hat is 9" high and 8 1/2" across. Good condition, wear at edges.